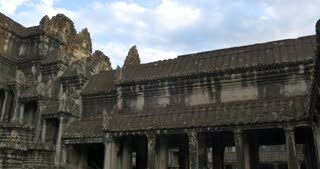 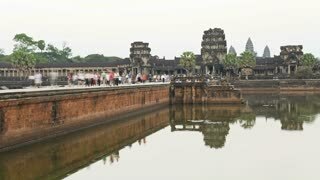 HYPERLAPSE: Endless crowds of tourists visiting Angkor Wat temples in Cambodia. 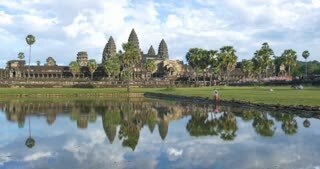 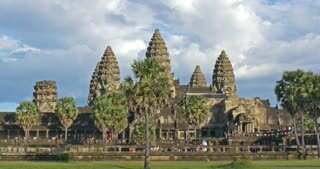 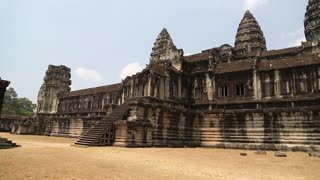 Crowds of tourists travel to see the breathtaking Angkor Wat temple complex. 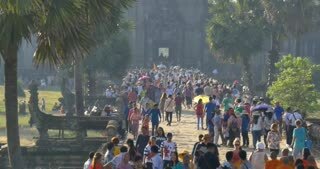 HYPERLAPSE: Hordes of tourists walking down wide pathway leading to Angkor Wat. 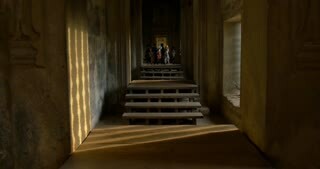 Hordes of careless tourists flocking in ancient temples of beautiful Angkor Wat.